Mindy McGinnis combines murder, madness, and mystery in a beautifully twisted gothic historical thriller perfect for fans of television’s True Detective and American Horror Story. 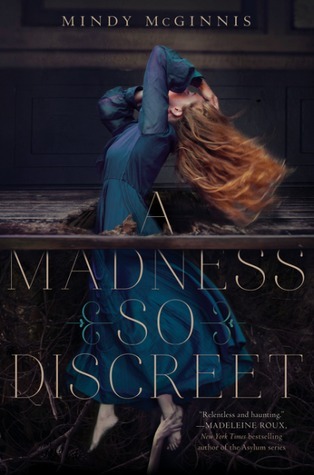 Grace Mae is already familiar with madness when family secrets and the bulge in her belly send her to an insane asylum—but it is in the darkness that she finds a new lease on life. When a visiting doctor interested in criminal psychology recognizes Grace’s brilliant mind beneath her rage, he recruits her as his assistant. Continuing to operate under the cloak of madness at crime scenes allows her to gather clues from bystanders who believe her less than human. Now comfortable in an ethical asylum, Grace finds friends—and hope. But gruesome nights bring Grace and the doctor into the circle of a killer who will bring her shaky sanity and the demons in her past dangerously close to the surface.